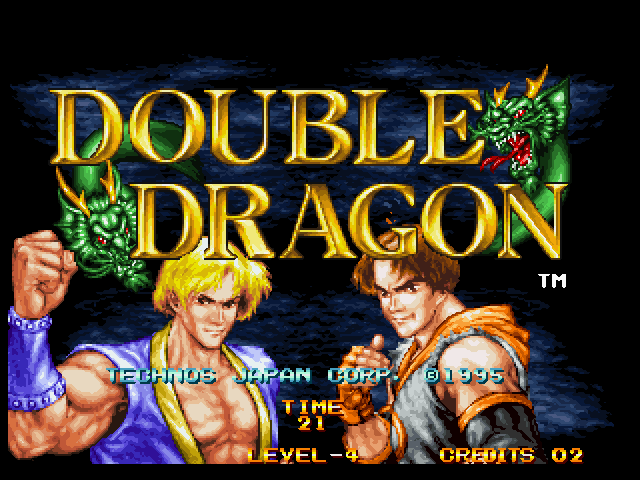 Double Dragon means a lot of things to a lot of people. Developed originally for arcades in 1987, a single player version was released for the NES that became one of the defining brawlers of its time. The series eventually went on to span five numbered titles across a variety of platforms up through the Super Nintendo before disappearing into the annals of history – that is, until recently, when 2D powerhouse Wayforward Technologies (A Boy and His Blob Wii, BloodRayne: Betrayal) stepped up to man the helm for a shot back into the ’80s with the upcoming title Double Dragon Neon. We stopped by the Reverb booth at PAX to take a look at what’s on its way. The first thing you’ll notice is the color. Wayforward didn’t choose the name Neon simply because it sounds cool, they decided to back it up by throwing a rainbow onto the screen and turning the metaphorical color amps to 11. As Assistant Production Manager Pete Rosky told us, it looks a bit garish, but that’s all part of the fun. The ’80s feel carries through to every design aspect of the game, from the ridiculous look of the characters and enemies to the incredible synth rock, which you can hear in the video below. Even the life meters have a bodaciously colorful style, complete with lightning bolts to measure your special power energy. 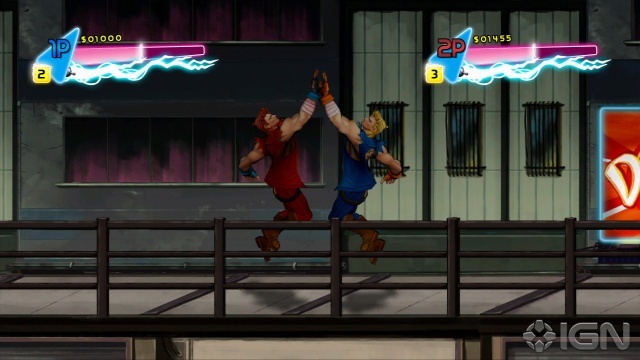 Everybody loves Double Dragon, brothers Billy (sometimes even Bimmy) & Jimmy Lee are coming back to XBLA in a neon-infused edition. Entitled Double Dragon: Neon and developed by WayForward who are no strangers to 2D-style games from last year’s Bloodrayne: Betrayal and Aliens: Infestation on the Nintendo DS. The 80s motif is heavy in the game from the lifebars to the high fives. The plot of the game involves Marian being kidnapped by an enemy called Skullmageddon which is pretty amazing. In with the 80s presentation is the music is filled with synth and guitar solos and you’ll be able to unlock more songs to beat up people in. Check out some screenshots and concept art after the jump and blast your Poison album as you wait for this to come out in July.